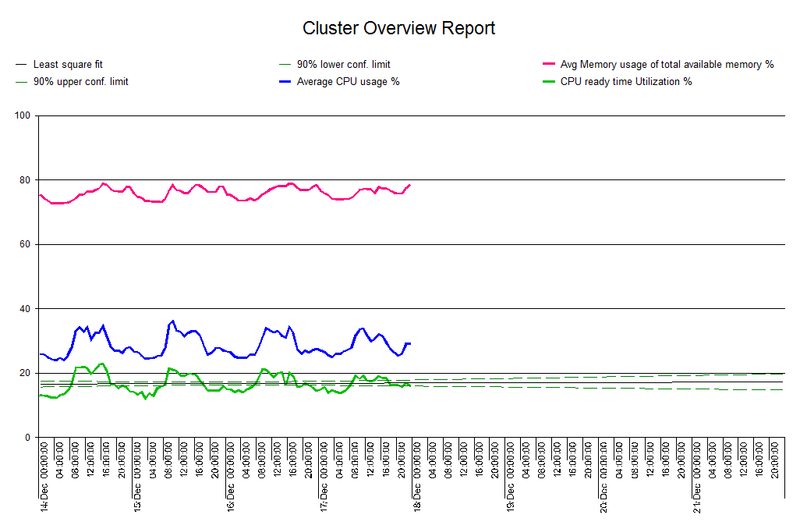 I tend to trend on Clusters the most. VMs and Resource Pools have soft limits so they are the easiest and quickest to change. 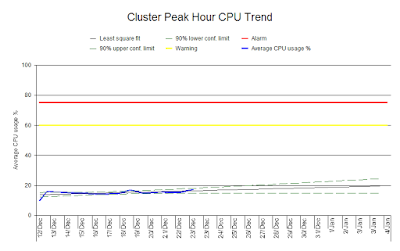 Want to know when you’ll run out of capacity? 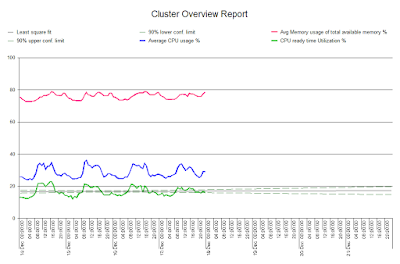 The graph below shows a trend on 5 minute data for average CPU and shows a nice flat trend. If I take the same data and trend on the peak hour then I see a difference. You can see that the trend has a steady increase, the peaks are getting larger. When trending ensure that you trend to cope with the peaks, to deliver immediate value, as these are what you need to cope with. Next let’s look at aggregating the data. 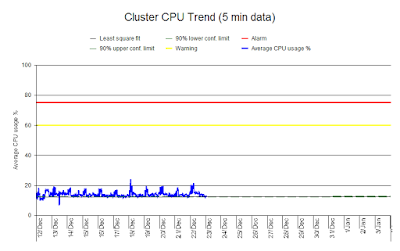 Previously we looked at Ready Time and as I said Ready Time is accumulated against a virtual machine but you can aggregate this data to see what is going on in the Cluster as a whole. 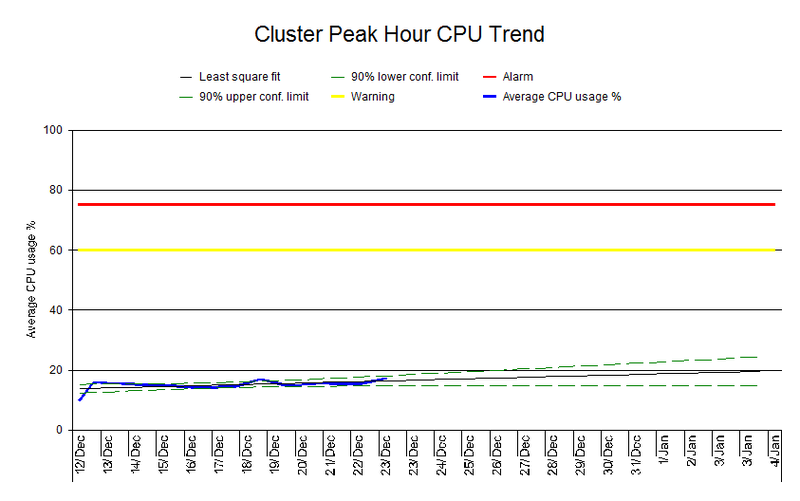 In the example below CPU utilization is not that busy but there is a steady increase in Ready Time. 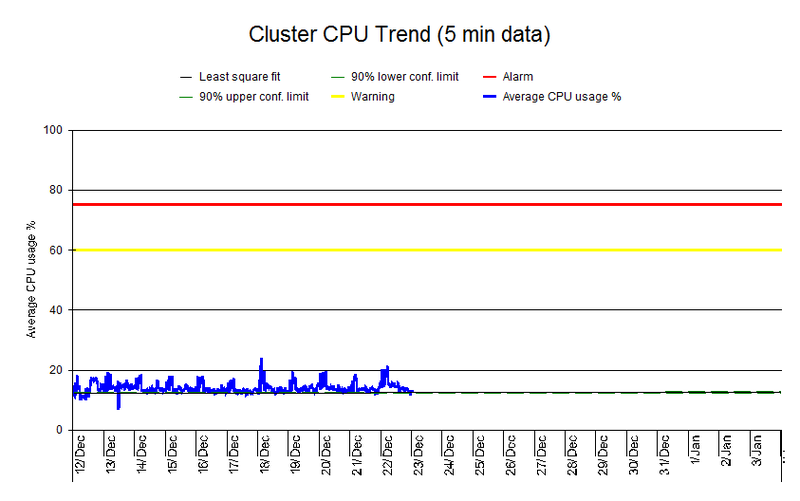 The dynamic may be changing and new VM’s that are being created have more CPU’s, which could eventually cause a problem.